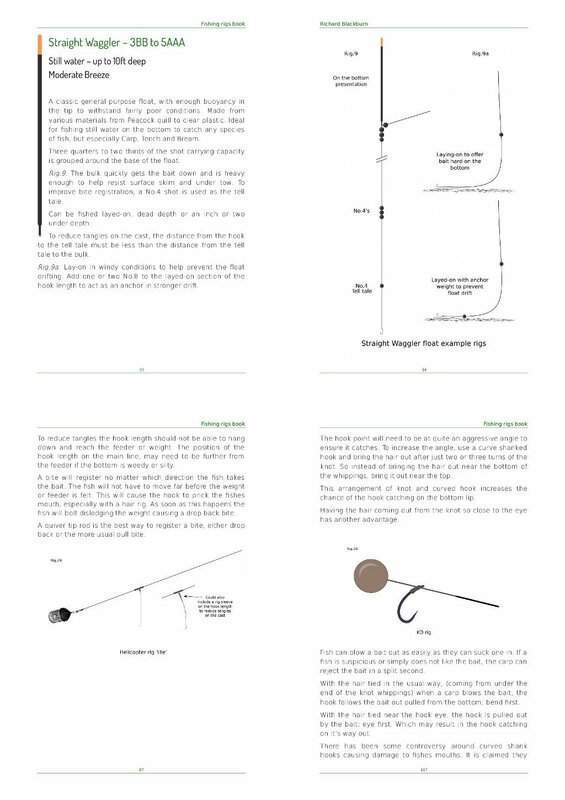 Fishing Rigs is a book written as a reference on coarse fishing float rigs, ledger rigs and carp rigs. 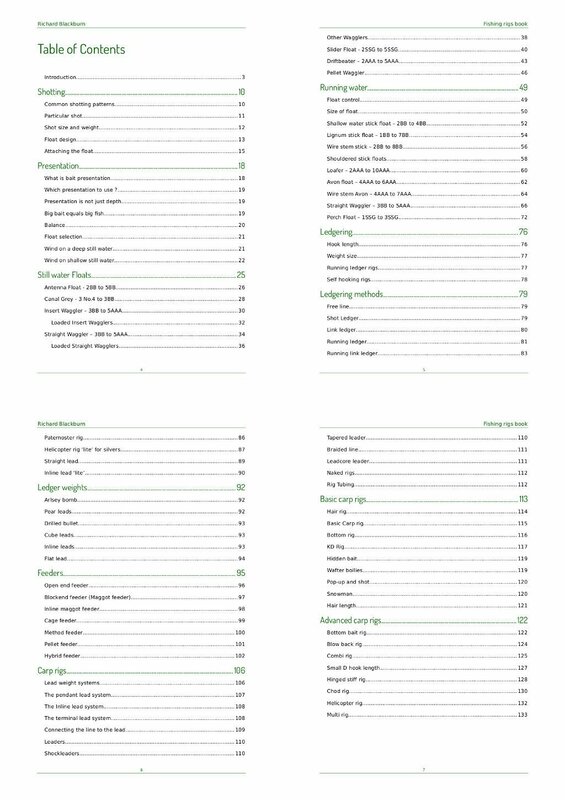 It contains diagrams and descriptions of dozens of rigs used to catch coarse fish. 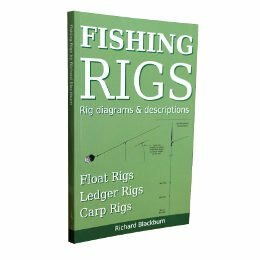 The purpose of the book is to help with rig selection taking into account weather and water conditions. It is aimed at anglers with a basic understanding and some prior knowledge of coarse fishing. 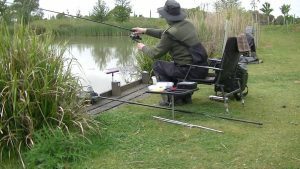 It is split into three sections of float fishing, ledger fishing and carp fishing. The rigs have all been carefully chosen to only include the most useful, effective and safe fishing rigs. 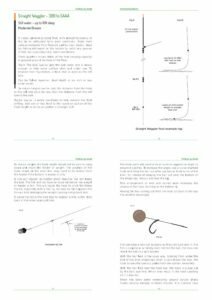 Float fishing rigs. Common floats and shotting patterns used on still and running water. Ledger fishing rigs. Describes ledgering methods from the classic to the modern. Carp fishing rigs. Different designs and the reasons for using them. 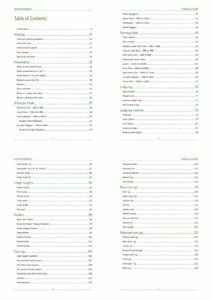 This eBook has been written as a reference on rigs for coarse fishing. It’s purpose is to help with rig selection taking into account weather and water conditions. 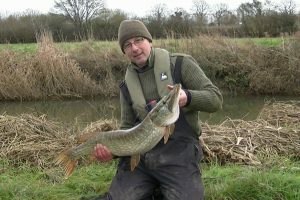 It is aimed at anglers with some prior knowledge of coarse fishing.